Two years into his presidency and nearly four years after beginning his campaign, President Donald Trump’s refusal to disclose the source of his considerable real-estate income to the very people who pay his salary — the American people — is an affront to accountability and a serious obstacle to both congressional and public oversight. But Congress’s recent requests for Trump’s returns show that the U.S. system of checks and balances is working: a co-equal branch of government is acting to constrain a potentially out-of-control presidency, and ultimately may seek recourse from the third branch — the courts — to restore constitutional balance. While Congress has the constitutional authority to conduct executive branch oversight — and the congressional committees that have asked to see Trump’s tax returns have clear legal grounds for their requests — the American people have a strong argument for seeing the returns, too. Two House committees have asked to see Trump’s tax returns. On April 4, Ways and Means Committee Chair Richard Neal requested them from the IRS under a provision of the tax code that permits tax-writing committees to request information on any tax filer. In response, Trump’s personal attorney sent a letter to Treasury outlining several high-level arguments against disclosure, though none grappled with the clear statutory text giving Neal the right to obtain specific returns. Trump’s attorney argued that Congress lacked a “legitimate purpose” in requesting the tax returns. In fact, Neal did articulate a legitimate purpose in his letter: Not only does the law explicitly instruct Treasury to provide the Ways and Means Committee with any returns it demands, the committee’s responsibilities clearly include oversight of our highest officials’ compliance with federal tax laws. Such responsibilities likely outweigh any privacy interest, just as all of our top officials are required to file annual financial disclosures. Treasury missed Neal’s initial deadline and said it would confer with the Justice Department, and Neal has now given Treasury until April 23, with an implied threat of litigation. Last Friday, Oversight and Reform Committee Chair Elijah Cummings sent a request to the Trump Organization’s accounting firm for several years of returns. Unlike Neal’s reliance on a statute, Cummings is relying exclusively on Congress’s oversight powers to obtain the information. 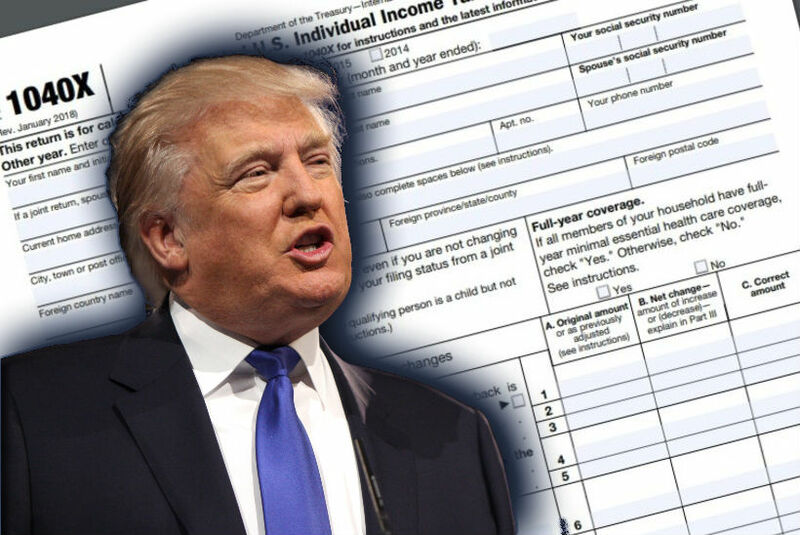 Cummings has also outlined several legitimate purposes for his requests, including the possibility that Trump’s tax returns contain evidence of financial crimes. The tax firm has not responded, but Trump’s lawyers have already instructed it not to comply. If it fails to turn over the returns, it should prepare for potential litigation. Trump’s argument against sharing his returns with Congress is an extension of his original position: that the public (specifically, voters) should not be allowed to see his returns. While Congress has a stronger claim to access them and may decide against publishing them wholesale (for example, to protect outside entities or private bank information), the public’s claim is also strong. The law on which Neal’s request is based contains a provision for disclosing tax return information to the full House (and the public) if it has a legitimate purpose consistent with Congress’s constitutional responsibilities. Neal of course cannot judge whether such a legitimate purpose exists until he examines the returns, but as of now it appears one exists: oversight of the executive branch, and of the executive himself. This would not be a case of what the Supreme Court has described as illegitimate “exposure for the sake of exposure.” While the bar for publicly disclosing the tax returns of a private individual may be high, it is less so for our commander-in-chief. The American people have a right to know who is working for them — and whether their elected officials are working for other interests as well. The president has no right to secret sources of income or to private deals, nor does he have the right to conceal evidence of tax fraud. The public deserves a president who can withstand an audit. These concerns are even more acute for Trump, who has refused to divest from his many business interests. His properties around the world, from Uruguay to the United Arab Emirates, offer an unparalleled opportunity for those interests to affect policy. Foreign and domestic companies hoping to garner favor with Trump could offer business to Trump companies in exchange for favorable policies, such as tariff exemptions. The public deserves to know how much money he is receiving from foreign interests, which may signal Emoluments Clause violations and could leave him open to bribery, and to know how his wallet is impacted by federal policies, from trade regulations to environmental laws to the tax overhaul. If the 2017 Republican tax law that Trump signed significantly lowered his own tax bill, we should hear about it. Americans have reason to be concerned about Trump’s tax bill — he’s stiffed them before. In October 2018, the New York Times reported on how Trump made hundreds of millions by participating in tax schemes while defrauding the public. These schemes cannot be criminally charged today, but the American public should know if their president is continuing these practices. There is precedent for this: In 1974, the Joint Committee on Taxation, after determining it was in the public interest to do so, released a 1,000-page report detailing how President Richard Nixon had underpaid his taxes by nearly $500,000. Trump’s tax returns may also provide evidence of other criminal wrongdoing. Former Trump personal attorney Michael Cohen testified before Congress in February that Trump personally directed hush money payments to women he had affairs with in the leadup to the 2016 election, in violation of campaign-finance laws, and said that the returns may contain evidence of additional crimes. Disclosure of Trump’s tax returns would reveal a significant amount of information the American public needs to see to ensure their president is working for them and not for personal financial interests, is not defrauding the public tax coffers, and has not committed any crimes. There are no more legitimate purposes than that. The fight over Trump’s taxes is just getting started. We may see litigation by not one, but two different congressional committees. The Ways and Means Committee has a very strong case to obtain the records based on law, and both committees have strong oversight claims based in the Constitution. Once Congress has the information, it will have to judge for itself the scope of what is appropriate to make public, but the American people also have a strong case for seeing the returns for themselves — to ensure the president is working for them, and only for them.